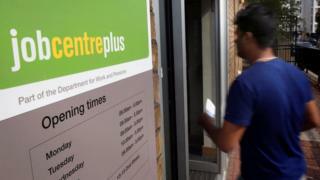 Ministers have announced a further delay to the government's flagship Universal Credit scheme. Full roll-out of the welfare reform is now forecast in March 2022, an extension of a year - and 11 years after it was first announced. Universal Credit, which replaces six current benefits with a single payment, is being rolled across the country. It was originally scheduled to be completed in 2017 but has been beset by IT delays and costs have spiralled. The revised scheduled, revealed in a written ministerial statement, is being attributed to extra work created by changes announced in the 2015 summer Budget, including limiting the child element of tax credits to two children. Universal Credit currently has 279,000 claimants, and is available to new single jobseekers in every job centre across the UK. Giving evidence to the Commons Public Accounts Committee, Robert Devereux, the permanent secretary at the Department for Work and Pensions (DWP), rejected MPs' suggestions the project could have been delivered quicker, saying: "The complexity of this undertaking is probably the largest thing this department has ever done." His DWP colleague Neil Couling told the committee another of the reasons for the delay had been time spent planning for an "emergency brake" on migrants' welfare entitlement, which was part of former prime minister David Cameron's EU negotiations. This is no longer a consideration following the UK's vote to leave the EU. The Resolution Foundation think tank, which has long supported Universal Credit, said the government should consider whether the "current design is right for the new economic conditions Britain faces". "With most independent economic forecasts pointing to higher inflation and lower real wage growth in the coming years, implementing Universal Credit in its current form risks deepening the squeeze on living standards facing low and middle income families," said the foundation's senior economic analyst David Finch.